Bridging the worlds of residential and commercial design, Collaborate is a powerful statement piece in any setting. The table series is complemented by ellipse, round, and square tables with marble, wood, or laminate tops. Three heights nest and accommodate a range of applications. 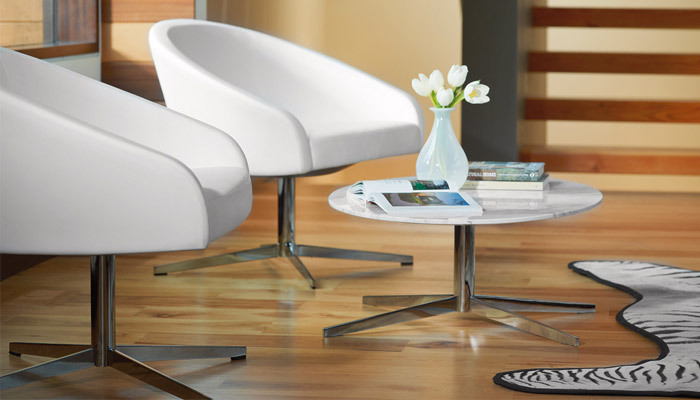 Tables feature timeless star and disc bases.